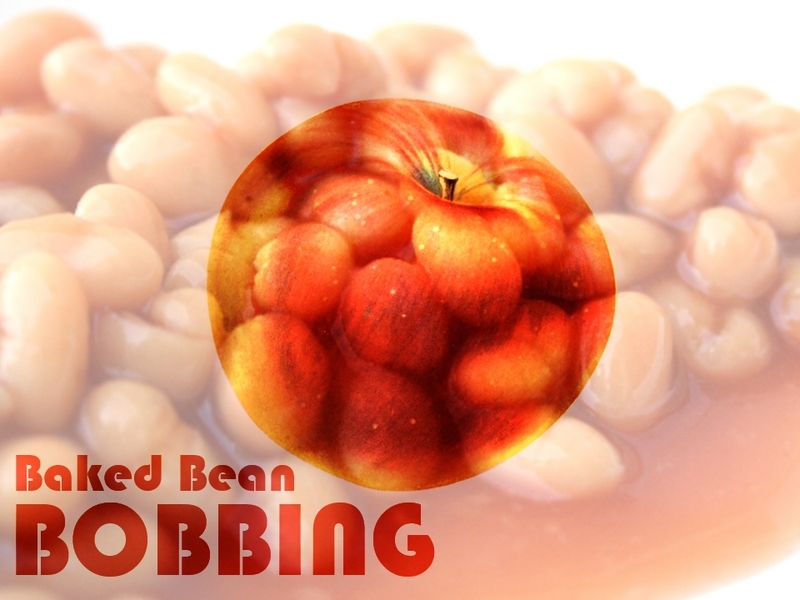 Bobbing for Apples in Baked Beans seems to be a Young Life tradition. Those guys know whats up. They had a huge influence on my spiritual development in high school and early college. Fill your bucket or storage container with baked beans . Add water to decrease expense. You'll need to stir. Throw in some apples and have students bob for them. You can make it a competition by timing them. The quickest to get an apple wins. You can still use one bucket and just have the contestants take turns. Don't play this game right before a talk otherwise students participating may miss the intro or they'll end up holding everything up.